don’t clean that one, (or any), until you find out for sure. Looks like it might be quite old, and they say antiques are best NOT polished. all in all, it looks like you did VERY well…Seems like a valuable bunch. that is, maybe his is still an older silver piece. Those birds look like curlews, but I am not an aviary expert. The green glass is definitely 1960’s or 70’s. 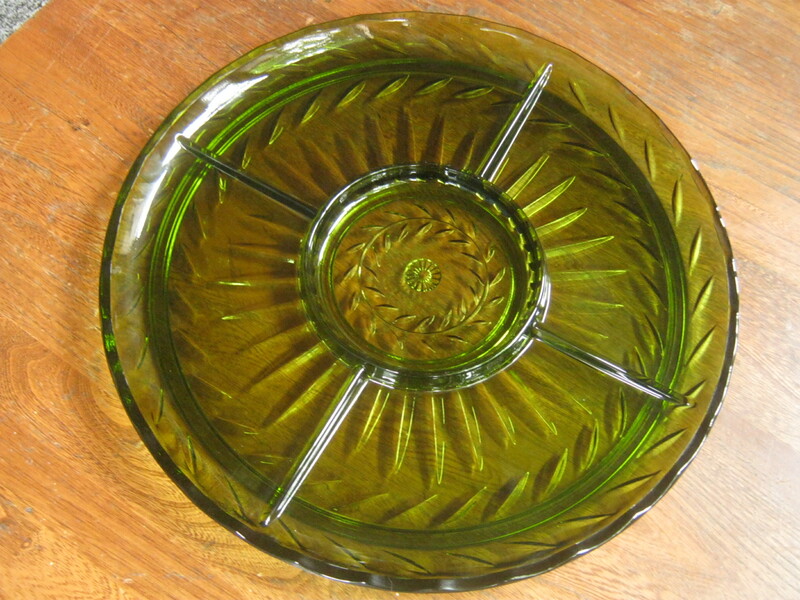 Depression glass was generally a softer (less yellow) green. 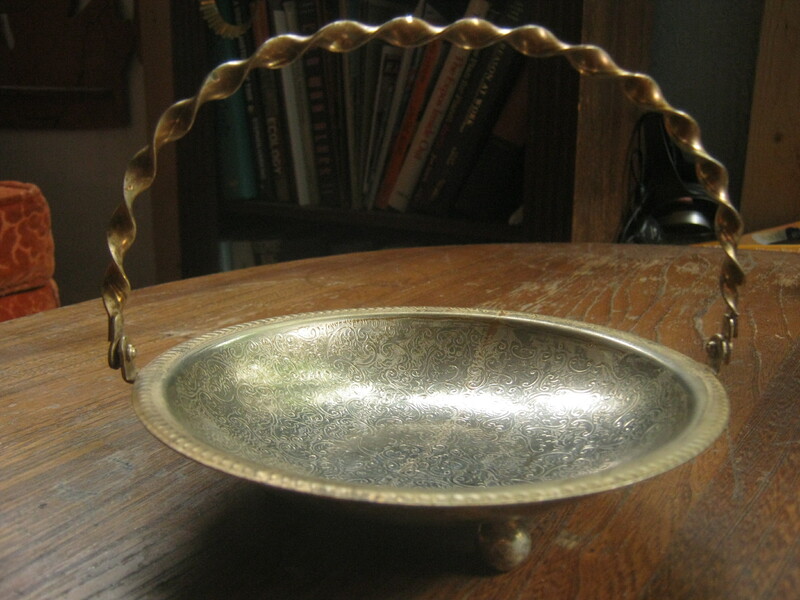 While it is true that brass, bronze and copper may lose value when polished, customers do not like unpolished silver. Just a light cleaning could make the difference between a sale or not. I love seeing what you find. I would go hunting, too, but I do not need one more thing in my house. Great site and love what your doing! You should do like TMZ and have tours on days and show people how to find, you can charge people for this. As you being kinda of a celebrity I think people will line up to do it. 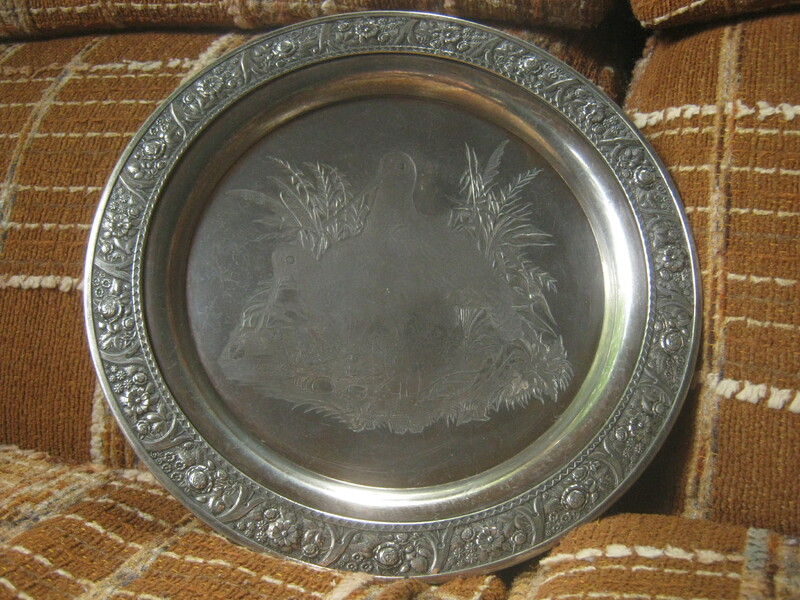 The tray with the handle and the feet might be from India. 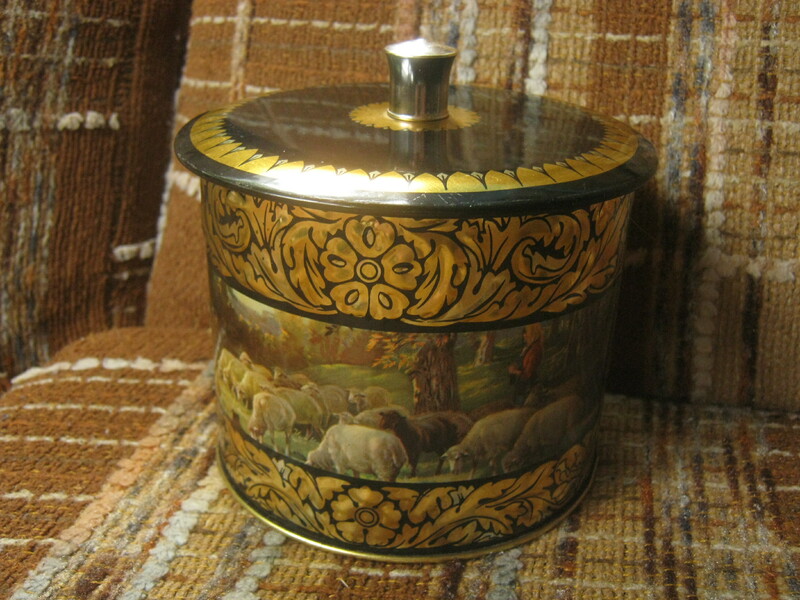 That’s a sweet tin. It should make you a couple of dollars. 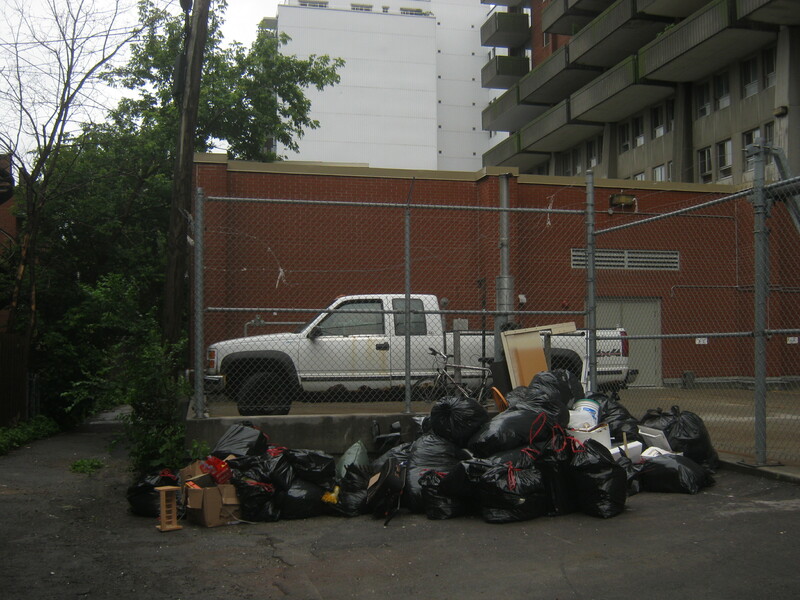 Besides the Plateau,Rosemont and the downtown Ville Marie Borough,NDG is a rich hunting ground for valuable trash after Moving Day.Last year after Moving Day,me and my friend retrieved antique toys,beer steins,dolls and unopened cans of new food on recycling/garbage pickup day that were destined for the garbage truck.Please search the trash heaps of NDG on recycling and garbage pickup day after July 1.NDG is rich like the Plateau and has plenty,plenty of apartment buildings.Outremont and Westmount are even wealthier but have more houses and fewer apartments;fewer people move there on JUly 1.Outremont and Westmount are already patrolled by rich scavengers in vans who check out the trash there after July 1.Readers,.do not forget to check out the whole of NDG.Martin cannot be everywhere.All readers should keep their eyes open in their neighborhood. 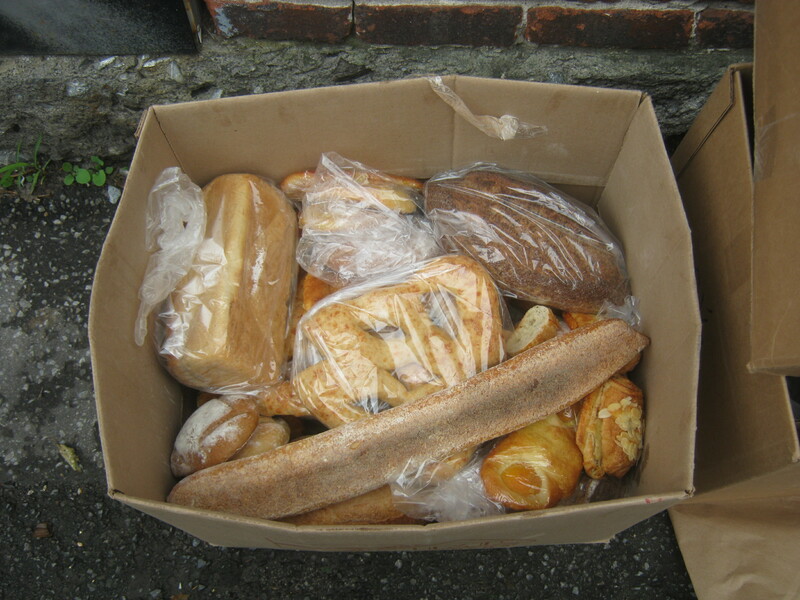 I moved to Nun’s Island from Villeray two years ago to be with a boyfriend.Nun’s Island is full of rich people,and there are good opportunities for garbage foraging in Nun’s Island off Verdun.Look out,boy. 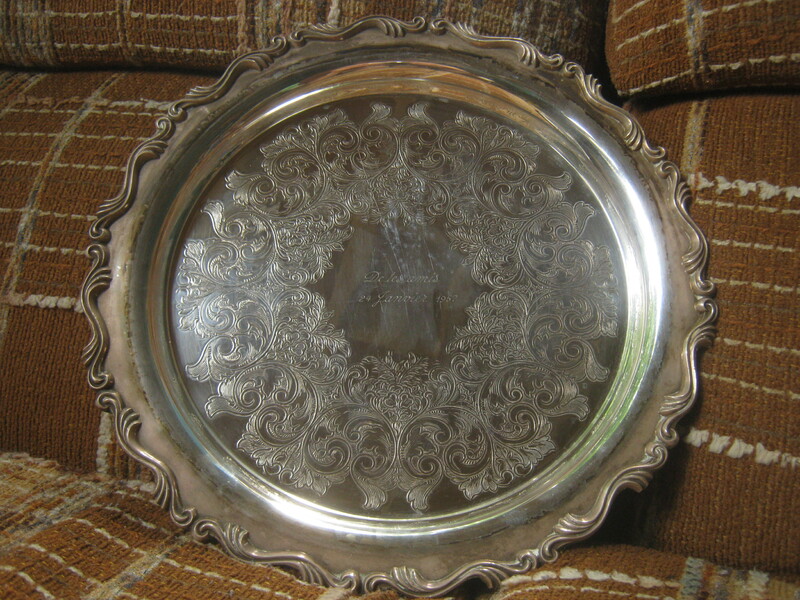 My mother … a depression glass connoisseur … says that this is from the 60s. 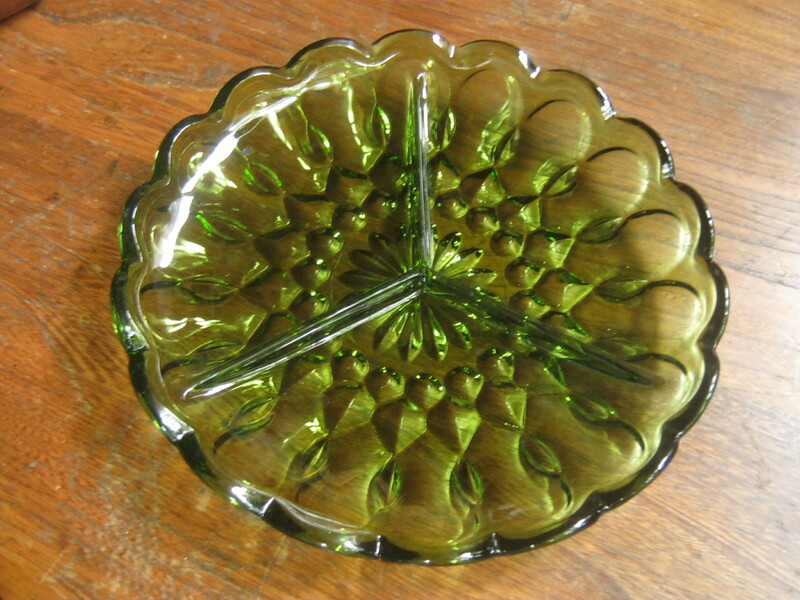 Apparently you can recognize depression glass from the seam that divides the piece in two.